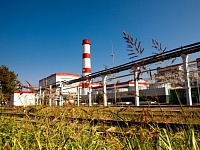 The development of design and estimate documentation for the project: "110/6/6 kV onsite and off-site power supply of 110 kV network for the site of serial production of JSC" PCU" is completed; address: Tula, st. Scheglovskaya abatis, 31 ". 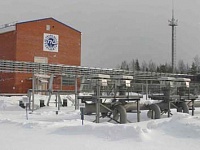 ECM-Petersburg: comprehensive sampling and testing of two power units GTU-CHPP ES-1 of Central TEZ of "Nevski" branch PJSC "TGC-1" are completed. Complex sampling and testing of two power units GTU-CHPP ES-1 of Central CHP branch "Nevski" of PJSC "TGC-1" are made between 21.11.2016 and 04.12.2016 with the participation of employees of JSC "ECM-Petersburg". Objects: NV NPP, JSC "Voronezhsintezkauchuk"
On January 1, 1940 the USSR chief power organization (Narkomat) formed a special agency called “Centroelektromontazh” (central agency of electric installation works). 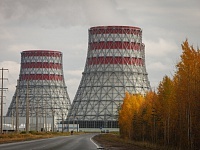 ECM is currently engaged in a variety of complex problems including designing, building, installation, adjustment and restoring of electrical equipment on power and economic facilities in more than 25 regions of the central part of Russia. 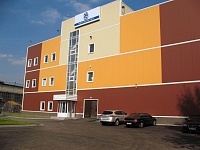 Production of JSC Еlektrotsentromontazh conforms to requirements of system of uniform national Russian standards and international quality assessment systems, regarding competence of the personnel, organization and technology, quality and safety of performed works (services). A series of construction, design, instrumentation-control, electrical equipment jobs at both power units of the Adler TPS (capacity – 180 MW each). 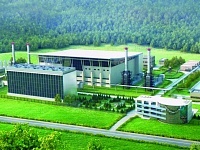 There’s going to be a new gas-vapor power facility built as part of the expansion project at the Krasnodar TPP. The chief purpose is to get the Region ready for the upcoming 2014 Olympics and power up some of the newly-built places around town. 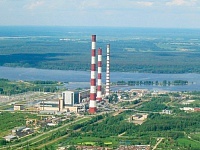 The work there is going to involve the expansion of the 6th PU gas turbine (300 mW). Two additional turbines will be installed and wired up according to all relevant standards (279 mW each). 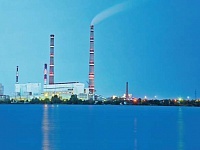 The range of jobs done at the Nyagan GRES went from the provision of electrical equipment/materials to full-blown installation projects at the 1st PU of the plant, which included the setup of several power transformers. 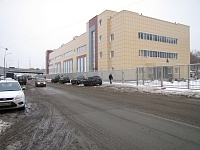 The substation Krasnoselskaya is constructed on the territory of CAO of Moscow to the address: ul. Baumanskaya and ul. Olkhovskaya crossing. 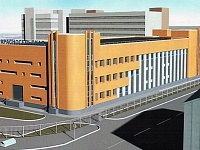 It is going to be a three-storey construction of 80х34,5 meters in size. The object is constructed on the territory of Pervomayskaya HEPS-14 in Kirovsky district of St. Petersburg to the address: crossing of prospect marshala Zhukov and the road to Turukhtannye ostrova. The object is a three-storey construction of 48х36 meter in size from a metal framework with monolithic concrete overlappings revetted with "sandwich" panels. There was performed a complex of works on installation and adjustment of power transformers, complete gas-insulated switchgear KRUE and other equipment. Engineering networks are executed and connected. GTPP Vnukovo. Electrical installation works. Ryazan SDPS. Installation of electrical equipment. 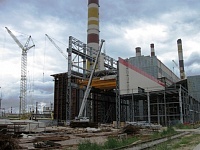 Installation of the electrical equipment within the "Buildup of the steam-power unit of 310 MW gas turbine" project of OGK-6 JSC branch Ryazan SDPS. 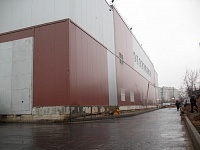 Electrical installation works on 2nd , 3rd and 5th launching complexes on RTS Strogino. Outdoor switchgear ORU 220 kV. Reconstruction of relay boards, installation of schemes of high-voltage switches heating. 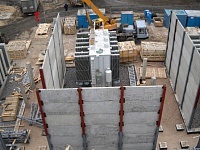 Electrical installation and commissioning of masout department, installation of equipment on indoor switchgears ZRU 35 kV, ZRU-110, main switchgear GRU-6 (replacement of cells). 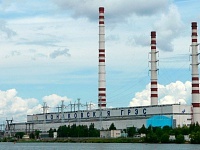 Developing of industrial control system of Konakovsky SDPS 6th power unit. 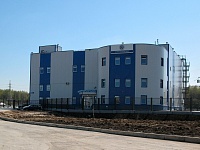 Konakovsky SDPS. 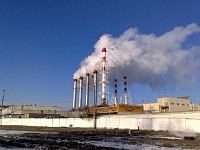 Accomplishment of the complex of works on developing of industrial control system of Konakovsky SDPS 6th power unit. 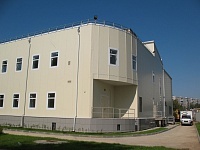 1st launching complex of the substation 110/10/6 Ignatovo. 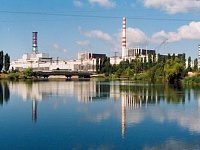 Reconstruction and overhaul of objects of the Kursk NPP. 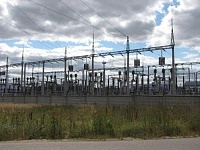 The 2×80 MBA substation of 110/20 kV Grach constructed in the Southwest of Moscow, is located in the municipal zone Shcherbinka. Electrical installation work on object of substation of 220 kV Zabolotye with connections of overhead power line VL of 220 kV. 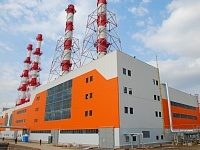 Electrical installation work of the complete gas-insulated switchgear (KRUE-220 kV) building at reconstruction of RTS Strogino 1st launching complex. 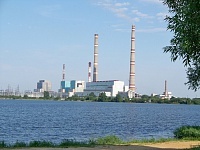 Novovoronezh NPP. Electrical installation and commissioning works. 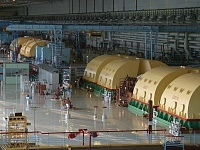 Electrical installation and commissioning works on implementation of electric power fiscal metering system of the Novovoronezh NPP. Delivery, installation and adjustment of disconnectors RDZ 2-110B/1000 UHL1 of 8 groups on Skalino, Cherepovets, Vologda and Kipelovo traction substations of the Vologda department of the Northern railroad. Object location: district Solnechnogorsky, Moscow region. 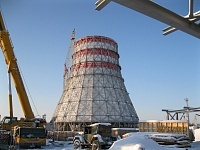 "Turnkey" construction of Substation of 110/10 kV Yubileynaya with connection of overhead power line VL-110 kV, the general contract. Substation of 35 kV. Power supply of Royal Canin. Object location: Dmitrovsky district, Moscow region. Electric power fiscal metering system on inputs of Northern railway traction substations. Power supply of Northern railway station Losta depot. Power supply of Northern railway station Losta depot (cable lines). 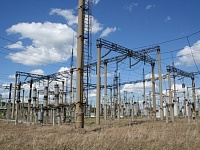 Overhaul of traction substations of stations Danilov, Putyatino and Koromyslovo of the Yaroslavl department of Northern railway.